Pedagoo has teamed up with Dreamdo to offer an exciting opportunity to UK teachers. 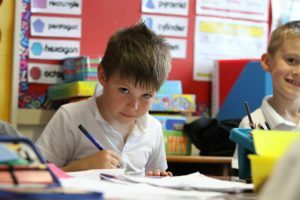 We’re recruiting teachers and their classes to talk part in a project-based learning pilot using Dreamdo’s fantastic resources. Dreamdo Schools is a biannual program that helps school classes all over the world do great projects in one semester. Participating in the program is free and any students from 7-19 years-old can take part. Any teacher and their students, anywhere in the world can join the program and become a part of a global network of teachers and students who dream and do. Dreamdo Schools is aimed at inspired teachers who want to connect with other teachers and classes around the world to share their projects and learn from each other. Student projects can be used as part of a normal curriculum or as a complementary extracurriculum activity. There is no restriction on the theme of the project, as long as it is something students themselves decide to do. Imagine how much your students would benefit from taking part in this online, international, project-based learning experience with growth mindsets underpinning the entire approach…for free! What’s the catch? There isn’t one. Dreamdo is run by a not-for-profit in Finland and they already have schools taking part across Europe. They just want to increase participation internationally. All that they ask in return is that you give them feedback and, if you like it, to help spread the word amongst UK teachers. If this sounds as if this would be beneficial for you and your learners, please get in touch to by completing the form below. This entry was posted in Creativity, ICT, Ideas, Involving Pupils and tagged dreamdo, mindset, pbl on June 11, 2015 by Fearghal. Over the last few months I’ve become enthused by Carol Dweck’s work on the concept of a growth mindset. 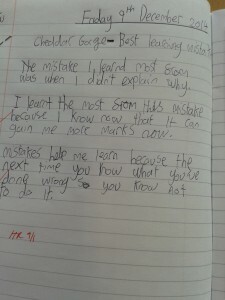 As a result of this I decided that it was time to make much better use of students’ learning mistakes in my classroom. Typically most students tend to not want to dwell on mistakes they’ve made, as they don’t want to be reminded of what they and others perceive as failure. 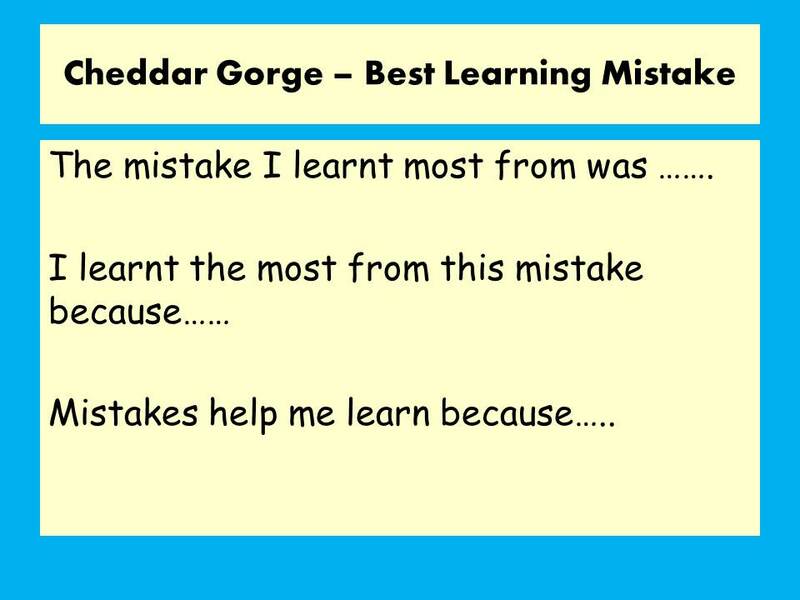 My year 8 Geography classes had been working on an assessment about Cheddar Gorge and today was the day they were going to find out how they’d got on. I always allocate a whole lesson dedicated purely to feedback and reflection when I return an assessment but today I added a new activity to our usual repertoire. I asked students to identify their best learning mistake – the one that they’d learnt the most from. This is actually quite an abstract concept, the class I first trialled this with found it tricky. I had another year 8 class after break so did some tinkering and provided a framework to help them structure their answer. I could almost hear both classes’ brains stretching as they completed this activity. 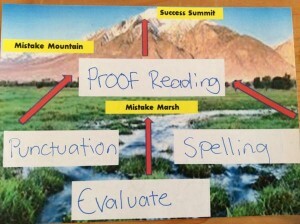 The second activity I created evolved after reading about the concept of a learning pit. I wanted to develop a variation on this theme and add a geographical flavour. Marshes are notoriously difficult to cross, so to is climbing to the summit of a towering mountain – a good analogy I felt for a learning journey. 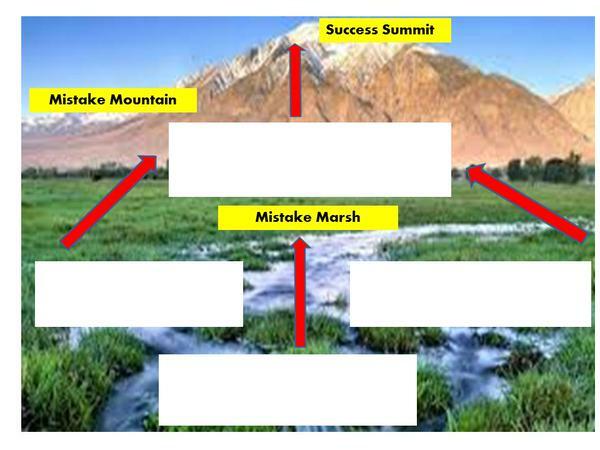 I returned assessments to year 9 and we did our usual review and reflection but added the ‘mistake marsh’ to our menu of activities. This was the final step in our evaluation process. 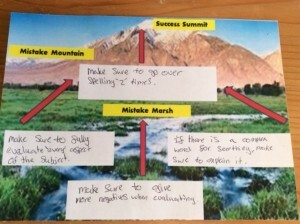 Students were asked to note three mistakes that they’d made in the boxes on the marsh – these represented mistakes they’d made on their learning journey. They then had to decide which mistake was the most important one and write it in the box at the base of ‘Mistake Mountain.’ Once again there was lots of silence and cranking of brains. 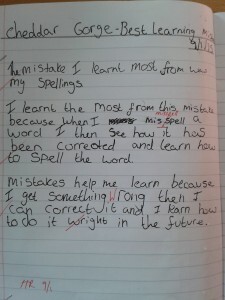 My hope is that by identifying crucial mistakes they will not make them again. 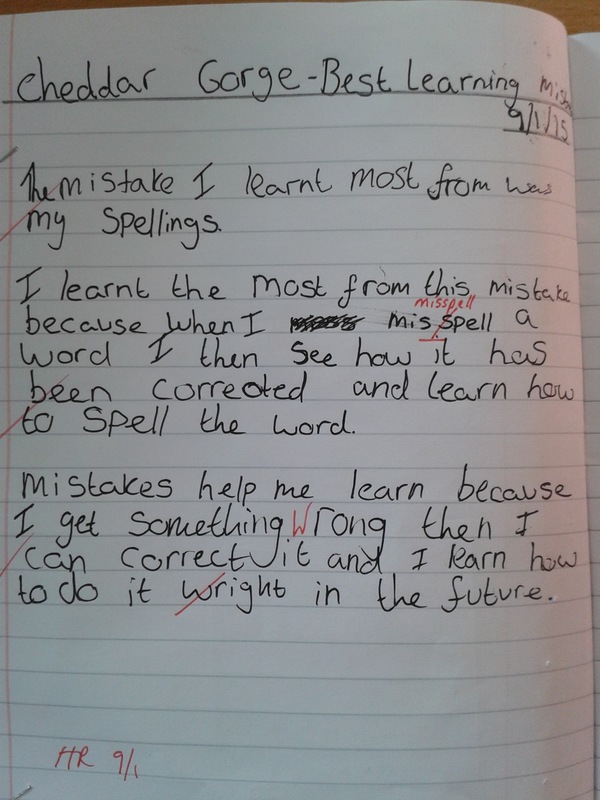 I know that these strategies are not ‘perfect’ yet and that students will need more practise; I plan to revisit and refine as well as devising new activities to get the most out of mistakes. There always has to be a starting point and being afraid to make a mistake shouldn’t be a reason not to have a go! This entry was posted in Assessment, Ideas, Pedagoo, PedagooFriday and tagged mindset on March 9, 2015 by Montserrat2901.